A room without decoration is just space; it looks boring or odd. The use of furniture is perfect for adding color, but a window is what will bring a room to life. Windows enables us to have natural lighting and ventilation in our homes, and of course, we want that for relaxation. 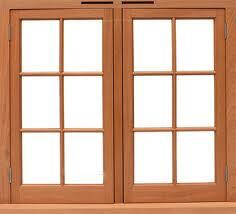 For years, we have operated as one of the best-known window makers and installers in Montreal. We specialize in custom windows; and we make all types of windows like Bow Windows, Bay Windows, etc.. We use different types of materials like vinyl, wood, and aluminum. Our company is devoted to producing excellent and high-quality windows. It is made possible with the help of our team formed by trained professionals who have extensive experiences in the field. They practiced working alongside the big names and companies in the industry beforehand. Though they are already skillful in their craft, our employees still continuously undergo thorough quality and additional training. 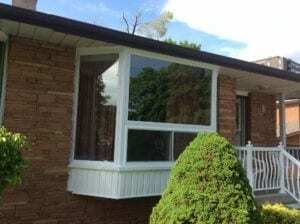 We make sure that all the windows we create and install firmly commit to the standard established by the Canadian Standards Association and the Siding & Windows Dealers Association of Canada. As it is our commitment to provide world-class windows to our clients here in Montreal and other nearby areas, we continue to invent and adapt innovative ways that will enable us to create more windows that suit every person’s or family’s needs. We excel in constructing windows of all types. We see to it that we prioritize our client’s personal preference that is in harmony with what’s appropriate and aesthetically pleasing for them. Our construction process is firmly based on our client’s instruction, and we make sure that it incorporates modern techniques and contemporary creativity. As a customer, all you have to do is instruct us with the size, shape, color, material, and preferred design, and we’ll turn it into reality. The team who’ll visit your location will examine the window space first. After you discuss your preferences, we’ll provide our point of views so we can collaboratively settle the design. As Montreal’s go-to place for window customization and installation, we have mastered the right ways and techniques. 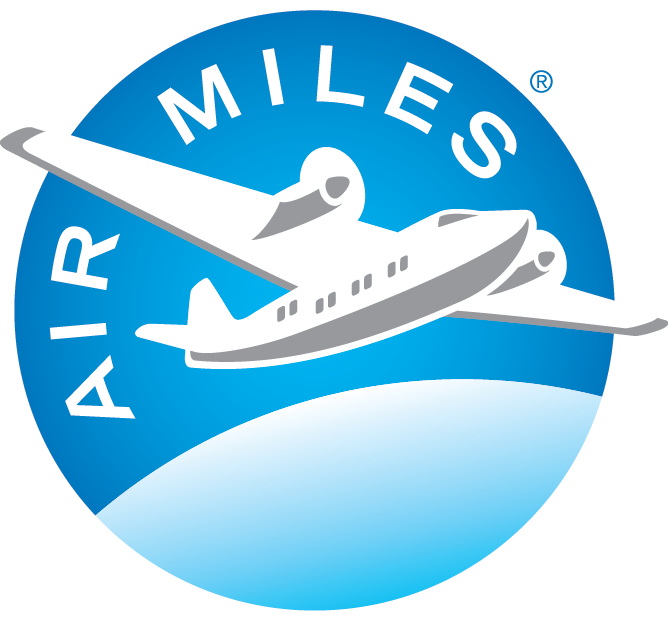 It is to ensure that you, our clients, would not have to worry about a single thing. Installing any window with decorative and unique shapes is considered done as a piece of cake. Bow and Bay windows are great complementary pieces to every home These types are composed of three or more frames that are wide enough to view the outside, and attract natural lighting into the home. It is natural for both the Bow windows and the Bay windows to be a home’s focal point. Many of our customers have shared their experiences saying that a living room is pleasant with standard windows, but it can transform into being magnificent after Bow windows and Bay windows are installed. 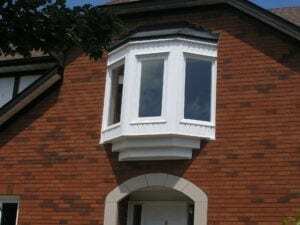 Bay windows consist of just three frames or openings that are arranged at a specified angle. Its inner structure is considered as the picture frame, and this is supported by two smaller openings on both sides. Possible options for the angles are 25°, 35°, and 45°. With the flat-leveled planes of Bay Windows, it is considered to be more suitable for people who prefer a more modern and contemporary interior style in their homes. And to preserve its stability and design, we used high tech coating for every window. It complements more floor space since it projects further than the wall and beyond the external space. 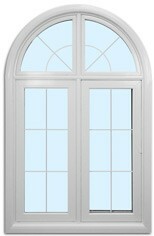 Bay windows are considered to be leaner than Bow windows for it only has three frames or openings. 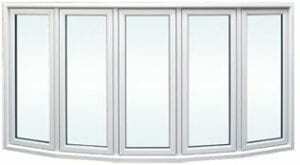 Bow Windows are built with four or more frames or openings, which are also referred to as four lite bow window, five lite bow window, six lite bow window, etc.. It is often arranged in a curved manner that results in a roundish appearance when seen from the outside of the house. Bow windows are always perceived as something that is inspired by the Victorian era architectural design due to its roundish structure. It is possible to engineer and take advantage of its design to install it in a way that two different sides of the home are visible from the outside. Many have designed theirs wrapped around a part or corner of a house that forms a tower and a turret shape-like structure. For people who prefer a more classic interior, this type of windows is recommended. More natural light is attracted inside a home with Bow windows because it has more glass frames and openings which serve as a passageway for light to come in. And as always, we used the most premium materials, from strong glasses to coats that will both serve as protections and design enhancer. Our company is dedicated to producing world-class products at affordable prices that will surely satisfy the budget and preference of our clients. We will closely work with you as we establish the new piece that will bring a whole new touch of style to your living space. We always make sure that everything comes in handy for our clients by providing free consultation, design, delivery, and installation in the process. We will be pleased to assist you if you have any inquiries. Feel free to contact us.